Tattoos are one of the most beautiful ways to express yourself — they are a form of art that you decide to engrave on your body with ink. Although it does come with some cons, it might be the pain, the money it costs, the fading but something worse than that is getting a tattoo that is nothing close to what you wanted. But, anyways, this is not the point. After her breakup with Pete Davidson, she covered up a tattoo that she got for Pete’s dad who died in the unfortunate attacks of 9/11. 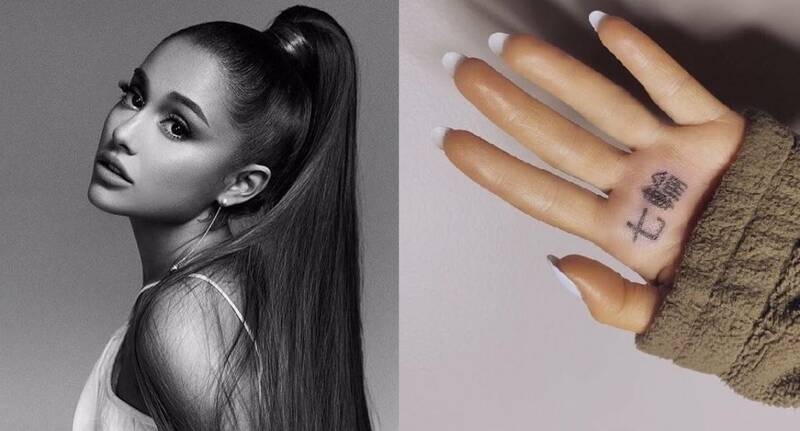 After “7 rings” was released, she got a tattoo for the song on her palm of what she thought said 7 rings in Japanese, but she thought wrong. After she posted about it, Ariana’s fans immediately started commenting and dm’ing her saying that her tattoo actually meant “BBQ grill”. Afterwards, Ariana addressed the issue and went to get it fixed but that, just as before, did not go according to plan. Even after getting it fixed her tattoo instead meant “Japanese BBQ finger”. 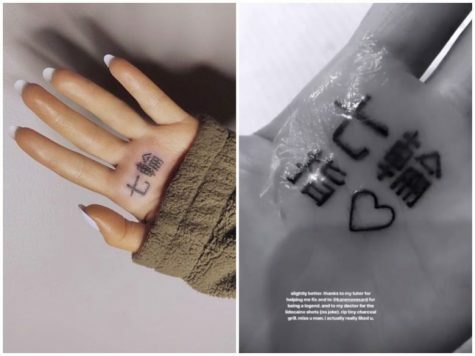 After all this, it’s safe to say that Ariana should definitely sue her Japanese tutor or maybe she should just get a tattoo in the language she is familiar with. Would you get a tattoo in a language you are not familiar with? What do you think of Ariana’s mistake? Comment down below!